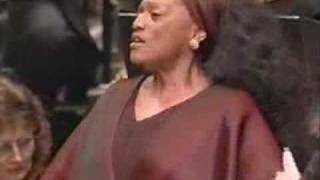 Jessye Norman and the New York Philharmonic, led by Kurt Masur, perform the final scene from Richard Wagner's "Götterdämmerung". 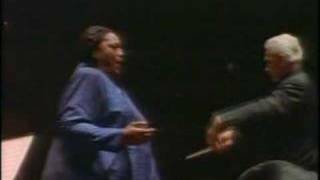 Richard Wagner Tristan and Isolde, Opera, WWV 90. Act I. Prelude & Act III. 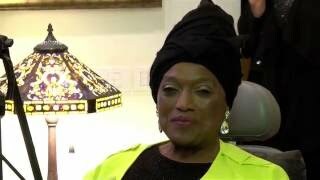 Mild und Leise (Liebestod) | Jessye Norman. Wiener Philharmoniker, Herbert von Karajan. 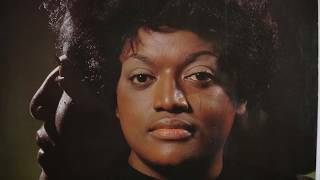 Jessye Norman appears by courtesy of EMI Classics Records Ltd. Deutsche Grammophon, Polydor International GmbH. 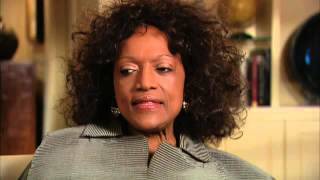 Universal Music Group. Salzburg, Großes Festspielhaus, VIII.1987 Mild und leise wie er lächelt, wie das Auge hold er öffnet seht ihr's Freunde? Seht ihr's nicht? Immer lichter wie er leuchtet, stern-umstrahlet hoch sich hebt? Seht ihr's nicht? 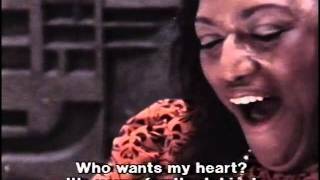 Wie das Herz ihm mutig schwillt, voll und hehr im Busen ihm quillt? Wie den Lippen, wonnig mild, süßer Atem sanft entweht Freunde! Seht! Fühlt und seht ihr's nicht? Hör ich nur diese Weise, die so wunder voll und leise, Wonne klagend, alles sagend, mild versöhnend aus ihm tönend, in mich dringet, auf sich schwinget, hold erhallend um mich klinget? Heller schallend, mich umwallend, sind es Wellen sanfter Lüfte? Sind es Wogen wonniger Düfte? Wie sie schwellen, mich umrauschen, soll ich atmen, soll ich lauschen? Soll ich schlürfen, untertauchen? Süß in Düften mich verhauchen? In dem wogenden Schwall, in dem tönenden Schall, in des Welt-Atems wehendem All ertrinken, versinken unbewußt höchste Lust! Friedrich Nietzsche, who in his younger years was one of Wagner's staunchest allies, wrote that, for him, "Tristan and Isolde is the real opus metaphysicum of all art... insatiable and sweet craving for the secrets of night and death... it is overpowering in its simple grandeur". In a letter to his friend Erwin Rohde in October 1868, Nietzsche described his reaction to Tristan's Prelude: "I simply cannot bring myself to remain critically aloof from this music; every nerve in me is atwitch, and it has been a long time since I had such a lasting sense of ecstasy as with this overture". Even after his break with Wagner, Nietzsche continued to consider Tristan a masterpiece: "Even now I am still in search of a work which exercises such a dangerous fascination, such a spine-tingling and blissful infinity as Tristan - I have sought in vain, in every art." 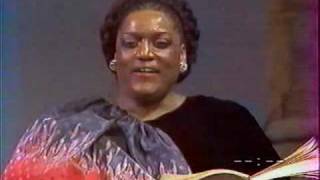 Tristan und Isolde is an Opera in three acts by Richard Wagner to a German libretto by the composer, based largely on the romance by Gottfried von Straßburg. It was composed between 1857 and 1859 and premiered in Munich on 10 June 1865 with Hans von Bülow conducting. Wagner referred to the work not as an opera, but called it "eine Handlung" (literally a drama. a plot or an action), which was the equivalent of the term used by the Spanish playwright Calderón for his dramas. Wagner's composition of Tristan und Isolde was inspired by his affair with Mathilde Wesendonck and the philosophy of Arthur Schopenhauer. 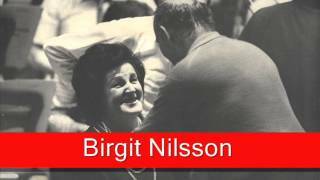 Widely acknowledged as one of the peaks of the operatic repertory, Tristan was notable for Wagner's advanced use of chromaticism, tonality, orchestral colour and harmonic suspension. The opera was profoundly influential among Western classical composers and provided inspiration to composers such as Gustav Mahler, Richard Strauss, Karol Szymanowski, Alban Berg and Arnold Schoenberg. Many see Tristan as the beginning of the move away from conventional harmony and tonality and consider that it lays the groundwork for the direction of classical music in the 20th century. It was only after Ludwig II of Bavaria became a sponsor of Wagner (he granted the composer a generous stipend and in other ways supported Wagner's artistic endeavours) that enough resources could be found to mount the premiere of Tristan und Isolde. Hans von Bülow was chosen to conduct the production at the Munich Opera, despite the fact that Wagner was having an affair with his wife, Cosima von Bülow. Captions in English and German included 1. Frühling 0:00 2. September 3:51 3. Beim Schlafengehen 9:16 4. 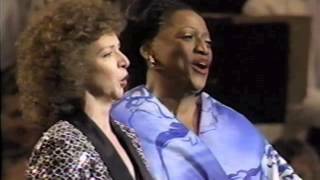 Im Abendrot 15:30 Music: Strauss' Four Last Songs. For the profundity that is achieved not by complexity but by clarity and simplicity. For the purity of the sentiment about death and parting and loss. For the long melodic line spinning out and the female voice soaring and soaring. For the repose and composure and gracefulness and the intense beauty of the soaring. For the ways one is drawn into the tremendous arc of heartbreak. The composer drops all masks and, at the age of eighty-two, stands before you unveiled. And you dissolve. Benefit concert for Stony Brook Opera, December 9, 2017. 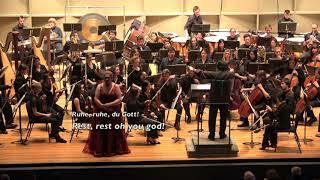 SBU graduate (1994) Christine Goerke, soprano, sings Brünnhilde; Timothy Long conducts the Stony Brook Symphony Orchestra. Staller Center for the Arts, Stony Brook University. 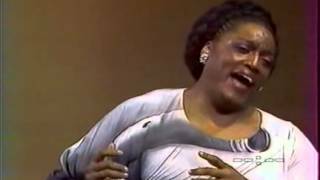 Ms Goerke will sing the role in the NY Met's 2019 "Ring." This season at the Met, she's Elektra. Elisabeth Cooper (Piano) Subtitulado al español. 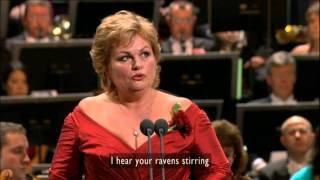 A beautiful interpretation of Vier letzte Lieder by Richard Strauss. 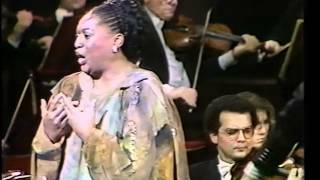 American soprano Jessye Norman and Wolfgang Sawallisch conducting the Orchestre de la Suisse Romande. The songs are "Frühling" (Spring), "September", "Beim Schlafengehen" (When Falling Asleep) and "Im Abendrot" (At Sunset). 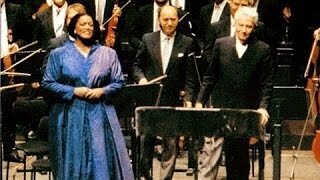 This is the fifth of Mahler's five Ruckert-Lieder, recorded at Avery Fisher Hall with Zubin Mehta and the New York Philharmonic. Performed at the opening of the 1989-90 season. 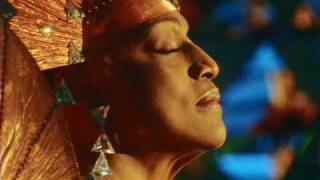 Jessye Norman at Ely Cathedral | "Christmastide" A Christmas Concert. 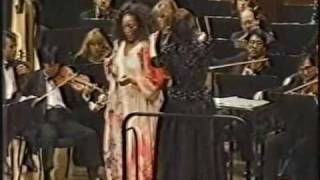 A concert recorded live with Robert De Cormier and the Bournemouth Symphony Orchestra at Ely Cathedral in December of 1988. 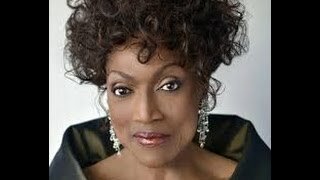 Christmas Concerts with Jessye Norman: I. A Christmas Concert at Notre-Dame https://youtu.be/QArZS9u4d-U II. A Christmas Concert at Ely Cathedral https://youtu.be/lS4Pbeq7zEY I Introitus 00:00 1. Oh Come, Immanuel | Anonymous 04:21 2. Once in Royal David's city | Anonymous 06:00 3. Unto us a Child is born | Anonymous 07:04 4. Hark! 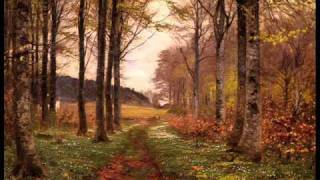 The Herald Angels Sing | Felix Mendelssohn 9:40 5. Good Christian men rejoice | Anonymous 11:08 6. O Holy Night (Minuit chrétien) | Adolphe Charles Adam II Movement 13:27 7. The Holly and the Ivy | Traditional 15:56 8. See amid the winter's snow | Sir John Goss 19:35 9. I Saw Three Ships | Anonymous 21:56 10. This Christmastide (Jessye's Carol) | Anonymous III Movement 27:45 11. Coventry Carol | Anonymous 31:01 12. In the Bleak Mid-winter | Gustav Holst 35:47 13. Stille Nacht, heilige Nacht | Franz Gruber IV Finale 40:13 14. Angels we have heard on high | Anonymous 42:03 15. We Three Kings of Orient are | John Henry Hopkins 42:53 16. Joy to the World | George Frideric Hande 44:28 17. Adeste Fideles (O Come, All ye Faithful) | John Francis Wade 47:41 18. 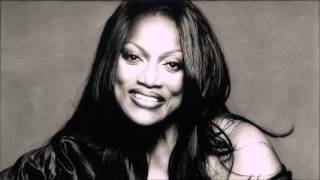 Amen | Traditional Jessye Norman, American Boy Choir, Ely Cathedral Choristers, Vocal Arts Chorus, Bournemouth Symphony Orchestra, Robert de Cormier. Ricard Wagner - Wesendonck-Lieder, Fünf Gedichte von Mathilde Wesendonck. 5 Gedichte für eine Frauenstimme, WWV 91 | Five songs for Female Voice & Piano (or Orchestra), WWV 91, 1857-58. 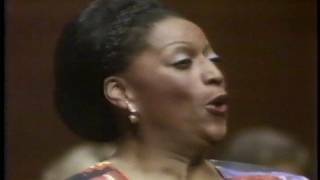 Jessye Norman, soprano 00:00 with Orchestra | Wesendonck-Lieder | with Piano 22:24 00:00 I. Der Engel | The Angel 22:24 03:25 II. Stehe still! | Be still! 25:30 07:35 III. Im Treibhaus - Studie zu Tristan und Isolde | In the Greenhouse 29:29 14:40 IV. Schmerzen | Sorrows 35:14 17:11 V. Träume | Dreams 37:38 Words By [Poems By] Mathilde Wesendonk with Orchestra (orch. 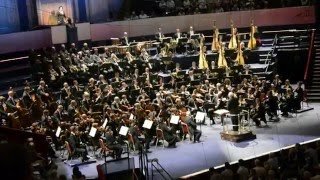 by Felix Mottl) London Symphony Orchestra, Colin Davis (1927-2013) Philips Classics, 1975 with Piano Irwin Gage, piano EMI Classics, 1970 Richard Wagner's settings of Mathilde Wesendonk's Fünf Gedichte, which date from November 1857 to May 1858, are not merely by-products of the composer's predilection for uniting words and music; they are documentation of an intimate friendship between the married poet, whose husband more than once kept the financial wolf from Wagner's door, and the composer. The Wesendonk-Lieder have their origins in Wagner's period of intense work on Tristan und Isolde (1857-60). 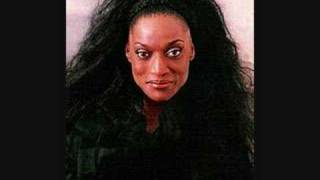 Indeed, Wagner designated two of the Wesendonk-Lieder, "Im Treibhaus" and "Träume," as "studies" for Tristan. Although the exact nature of the Wagner/Wesendonk friendship will likely remain unclear, it is tempting, especially in view of Wagner's usual romantic modus operandi, to view the love story of Tristan and the serenely metaphysical textual and musical union in the Wesendonk-Lieder as reflections of a real-life love story. Wagner's sensitivity to Wesendonk's poetry manifests itself musically in symbolic harmonic progressions, progressive tonality, and mimetic text-painting. In "Der Engel," the piano accompaniment depicts the contrast between heavenly angels and earthly cares: series of ascending arpeggiated chords reach upwards at the mention of angels, and repeated eighth note chords plod earthbound when the singer sings of fear, worry, and floods of tears. 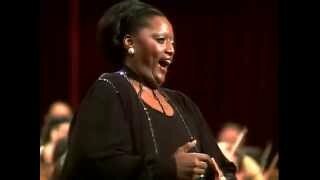 The plagal harmonic gesture Wagner weaves into the harmonic fabric of the song, and which he states most clearly in the piano postlude, underscores the religious implications of the idea of heavenly redemption in Wesendonk's text. If the imagery of "Der Engel" suggests infinity, in "Stehe still!" time, always in motion, is the "measure of eternity." Wagner's piano writing appeals to the tradition of work-music in the vein of Schubert's Gretchen am Spinnrade, in which driving rhythmic activity depicts the toils of labor. The large-scale tonal shift from C minor to C major underscores the mood shift in the text: joy, not time, is measured when two souls unite. The mutual understanding of the united souls transcends words. Wagner composes music that represents silence by gradually reducing the activity of the piano part to a recitative texture of sustained chords beneath speech-like declamation. A greenhouse is the backdrop for "Im Treibhaus," in which Wesendonk paints the image of palm branches reaching longingly into thin air only to grasp a desolate emptiness. One recognizes the melodic motive that permeates this song in even the opening measures of Tristan. Wagner's skill as tone poet is also apparent in his use of tremolo in the piano part to depict the whispering that "anxiously fills the dark room," and in his use of repeated D-E flat dyads to represent drops of water falling on leaves. In "Schmerzen," the sorrows and joys of life are allegorized in the image of the daily setting and rising of the sun. 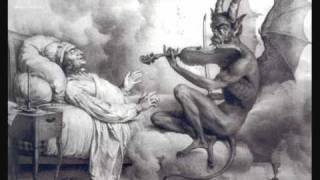 Again, a large-scale shift from C minor to C major tracks the psychological progression from sorrow to bliss: indeed, the text tells us that sorrow is the source of joy. Wagner divides the two eight-line sections of text in his setting by a brief fanfare gesture -- an arpeggiated B flat major triad, which returns, transposed to the final tonic C major, to close the song. In a letter of September 28, 1861, to Mathilde Wesendonk, Wagner wrote that his musical setting of "Träume" was "finer than all I have made!" He indicates that this song was the source of the night scene from the second act of Tristan. Indeed, the kinship is unmistakable. The descending whole-tone motive that hovers above ethereal harmonies is a sigh released as one abandons worldly concerns in spirit-redeeming dreams before taking permanent leave through death. The intersection of death and otherworldly bliss will resound most famously in Tristan. 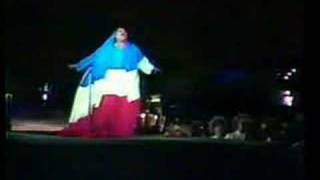 La marsellesa, interpretada en París en 1989, en el doscientos aniversario de la revolución francesa. 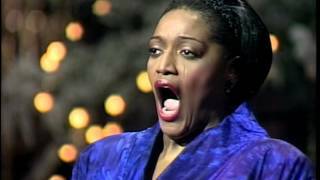 Jessye Norman,Place de la Concorde, Paris, France, July 14, 1989, "La Marseillaise".